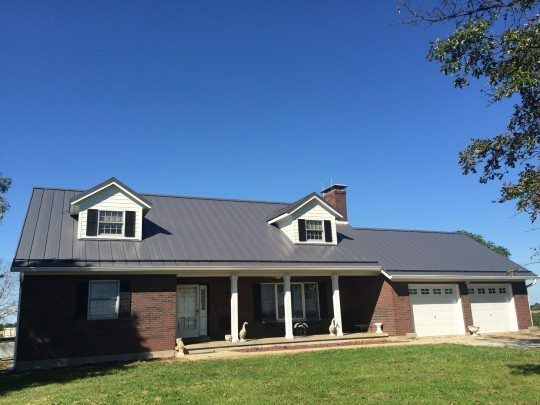 Completely re-roofed by the metal roofing and siding specialists at FS Construction Services, this lovely home now features a functional and beautiful charcoal gray Fabral metal roof. 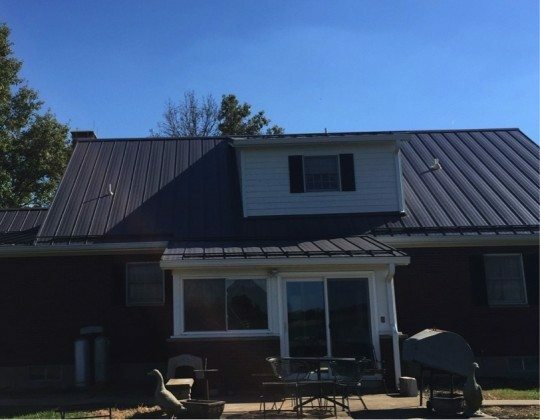 After removing the shingles, the FS Construction Services team installed a 26 gauge, Horizon S, standing seam metal roof by Fabral. This new, impressive 5,000 square foot metal roof project also included the fitting of a Snow Break roof rail system and seamless gutters. Finishing off this job our craftsmen installed LP Smartside siding, soffit and fascia. The customers were thrilled with not only the new look of their new home but the durability of their new roof as well. 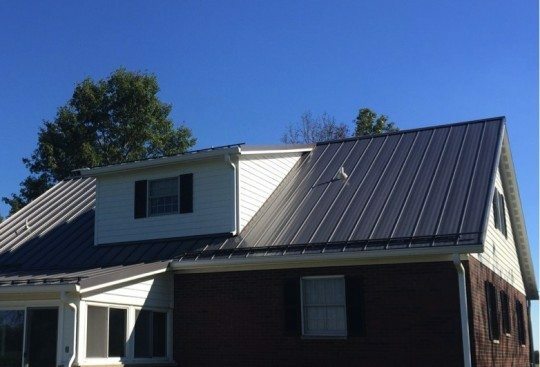 Thinking of a new metal roof or siding for your barn, business or home? Let our roofing and siding specialists show you the unlimited color options and benefits that will last for decades. At Gateway FS Construction Services, we are here to provide you with roofing and siding solutions you want – on time and on budget. For more information regarding metal roofing and/or siding, please do not hesitate to contact us at 866-551-3454. We look forward to providing you with the best customer service experience.